An Irish dance group stole the show in Temple Bar this St Patrick's Day. 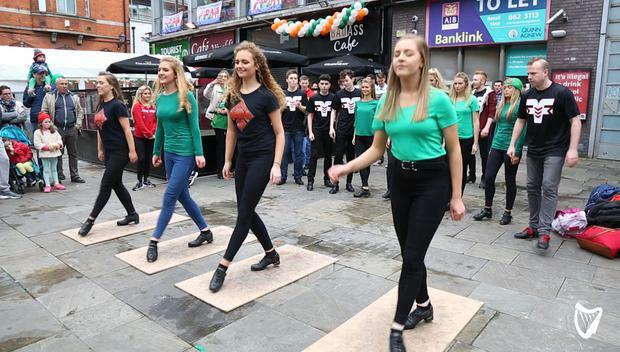 As thousands flock to the capital to celebrate St Patrick's Day, Irish dance group Fusion Fighters drew the crowd in Temple Bar as they showcased their talent. Despite the wind and gloomy skies, the group of young women and men kept smiles on their faces while crowds gathered to watch. Visit Fusion Fighters for more videos. Bill Linnane I want to tell you a story.